Guide4WDW.com: 6 of the Many "Hidden Secrets" of Main Street U.S.A.
6 of the Many "Hidden Secrets" of Main Street U.S.A.
Magic Kingdom is a unique park in the world of theme park entertainment. Everything has a purpose and the design far exceeds expectations. 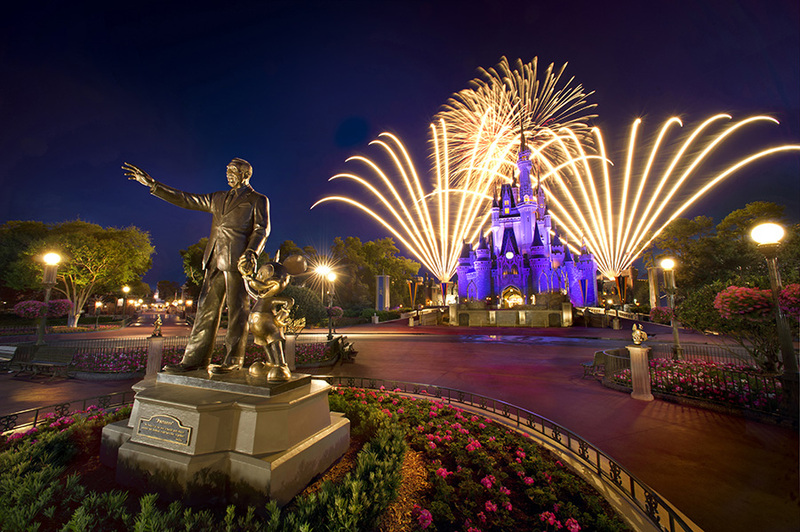 While we could spend days exploring and learning about every little corner of the park and every little detail of the Disney theme park experience, we'll have to save that for another day. Today, we're taking a trip down Main Street U.S.A. in hopes that you find something unique to appreciate and possibly even experience the next time you're in the park. 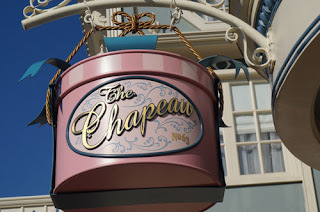 As a bit of a Disney history and hidden secret connoisseur I truly believe that once you recognize the details in what you see, and sometimes simply in what you hear or learn about through history, you grow to have a greater appreciation of what you are witnessing around you throughout your Walt Disney World Experience. As you walk "right down the middle of Main Street U.S.A." (♫♬🎶) be sure to take a minute to head down East Center Street for a quick little surprise. While the street was used for unique merchandise sales when the park opened in 1971, selling plants and large paintings, today it holds an entirely different secret. As you head down the short little "street" look up at the windows high above you. One particular window is reference to a studio where voice lessons are being performed. However, if you listen carefully, you can hear a singer practicing inside of the building. While very few guests will notice the authentic nature of the window, the select few that do will remember it as being one of the little details that truly sets Disney apart. As you enter the park and travel towards your favorite attraction take a minute to observe the situation as it unfolds around you. Experience the smell of popcorn in the air as you begin your journey down the street, the reveal of the grand scale of all the buildings as you emerge from underneath the train station, and observe the names on the windows as you walk. It's as if the big reveal of the castle is planned... Well, that's actually because it was. When you think about each element of the experience it makes sense. The elements your witnessing are set up identically to the way you would attend a theatre for a large-scale on screen production. Emerging form below the station is just like opening the curtain, the smell of popcorn is exactly what you would smell as you entered the building, those names on the buildings emphasize distinct individuals who made the "production" possible in the opening credits of the film, and the castle and hub of the park is the on-stage production you've come to experience! While no longer a part of the magic, one particular element of Main Street still manages to warm the hearts of kids that have grown up in and around the Disney Parks, The Penny Arcade. While a similar version still remains at Disneyland, even it pails in comparison to the classic arcade that once held a place on Main Street U.S.A. The seemingly simple location was something that continues to be increasingly difficult to explain as the world of modern technology slowly eliminates the need for an arcade environment. The penny arcade was something best described as a sensory experience. The games weren't what you see today, but rather classics long before even the years of pacman and space invaders. These games had a certain mechanical aspect to them. In many ways, looking back on those creations, they were more of a marvel of engineering or an art form rather than a game in the first place. There were Mutoscopes and Cail-O-Scopes that played the original motion pictures along with fortune tellers and other classic games. Everything was unique and something that you can no longer find in today's society. Unfortunately, in 1995 the Penny Arcade was completely removed from the Magic Kingdom. The Main Street Fashion Apparel Store (Hall of Champions) now fills the location left open as the Arcade only lives on in the minds of those who witnessed it first hand. Unfortunately, pictures of the arcade are quite difficult to locate, so if you have any please be sure to share them in the comments below. I would love to see them! 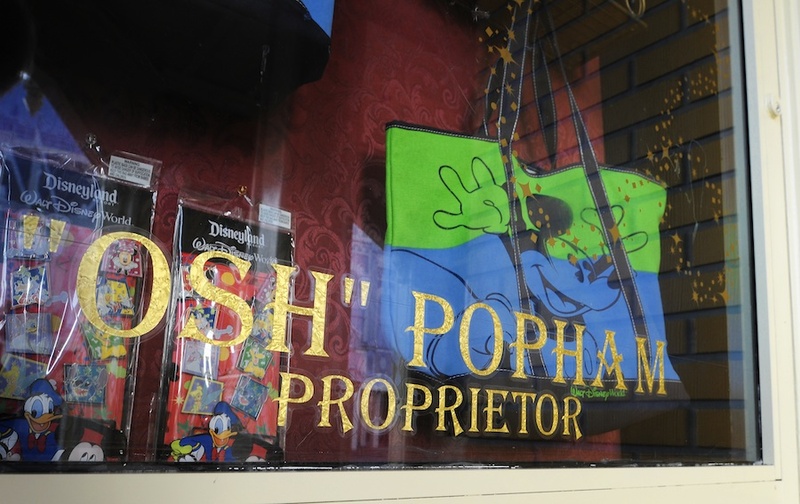 As another secret of days of Disney passed, very few remember the neat little Magic Shop which was located directly on Main Street! While the story is incredibly hard to find any information about currently, you can only go off of stories that have been passed on from what the experience was like. According to reports I've heard over the years, the shop featured a variety of unique gifts and simple tricks that were unique yet entertaining to purchase or even just to view as you wondered through the shops of Main Street. The store, which many believe to have had a slightly darker lighting than the rest of the shops, seemed to invite mystery and develop a sense of wonder. While very few souvenirs from the store have stood the test of time, one particular item can be found if you search the internet for hours on end. 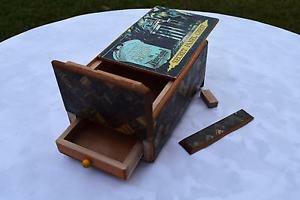 While not "magic" per say, Disney sold a secret panel chest decorated to match the theming of The Haunted Mansion (a Disneyland version is pictured below). 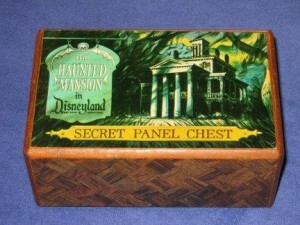 The chest has been a prized collectible for Disney collectors for quite some time. Amazingly, I truly believe it's desired not for monetary value, but rather to continue that legacy of the shops of Main Street in the minds of those who got to experience the joy of the stores first hand. It was a different time in Disney history where everything was built to create a certain level of realism in the parks. Today, we have one big store on Main Street and the remnants of a wonderful concept. While, from a marketing standpoint, the new design simply makes more sense, it's hard not to imagine how wonderful it must have been! Did you like this type of historical article? If so, let us know and more like this will be on the way in the near future! I love sharing the stories of things that once were or that are often overlooked in the parks. It truly creates a story for where this place we all know and love came from and how it grew into what it has become today!